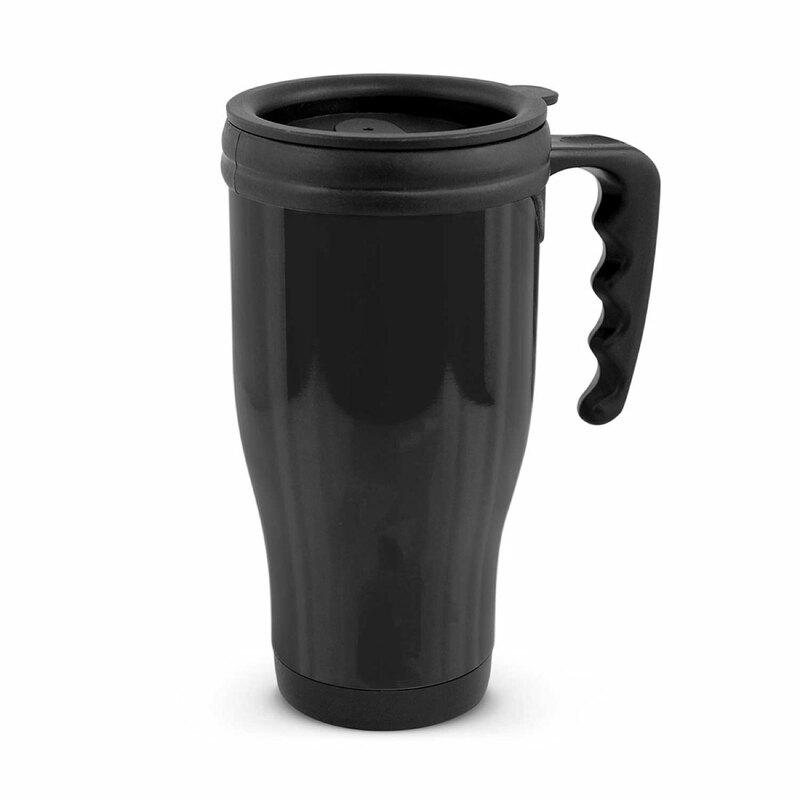 A travel mug that allows you to enjoy your coffee on the go. 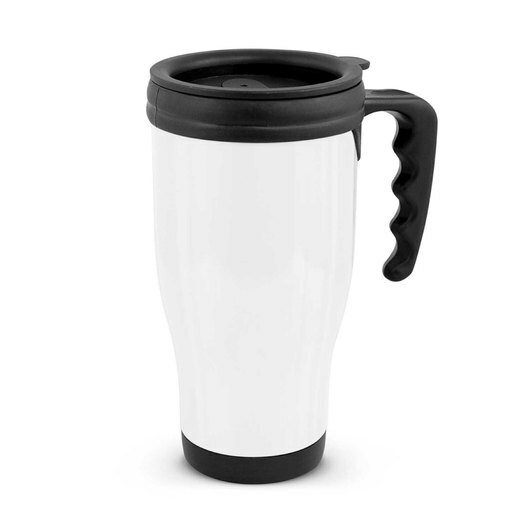 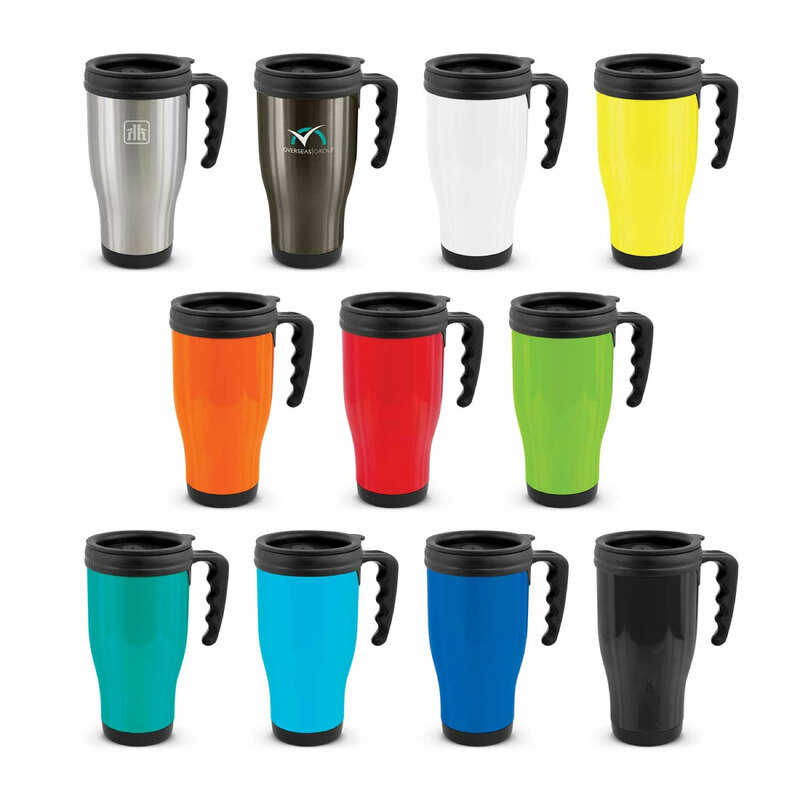 Enjoy your coffee on the run and stress free with these 500mL thermal travel mugs. They have a tough stainless steel outer wall and plastic inner wall with a secure plastic push on lid. These are not recommended for dishwasher use.